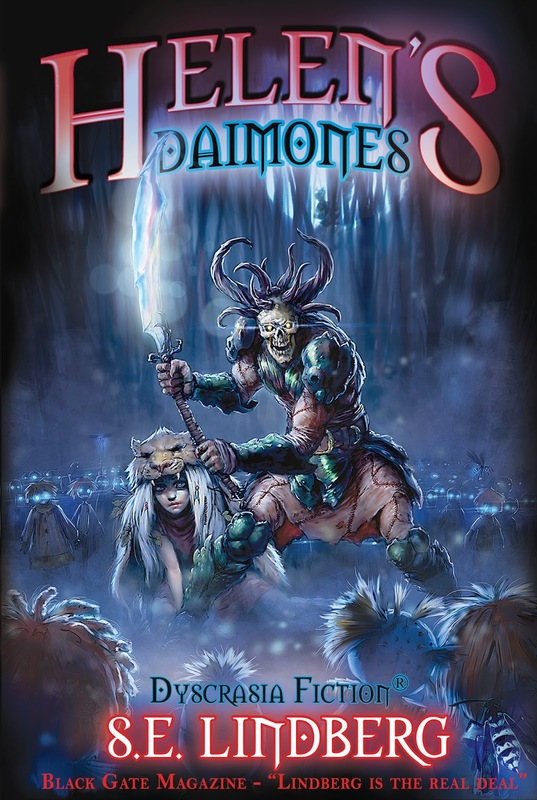 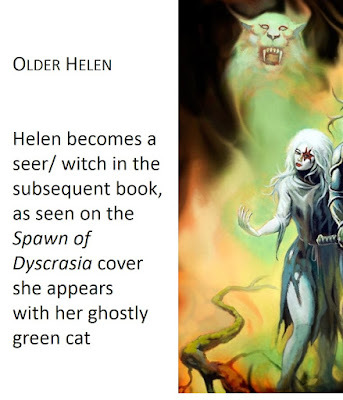 Just as we dissected the making of the cover to Spawn of Dyscrasia (with Ken Kelly), let's break down the process for making the cover to Helen's Daimones. 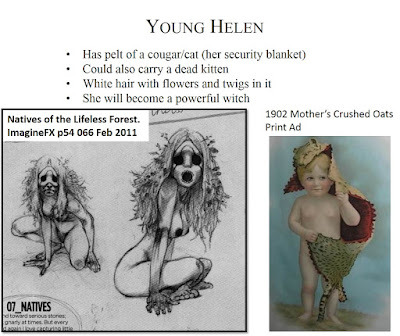 Two illustrations inspired the "look" of Helen as I wrote Helen's Daimones: (1) spooky fairy-native sketches from Daniel Landerman (published in ImagineFX and discussed more in the second post of this series) and (2) the 1902 Mother's Crushed Oats print ad of a boy with a feline pelt, a framed version hung in my parent's house. I found that Landerman had a series of "natives" and many of them were eerily similar to the haunting girl who mingles with creepy dolls. 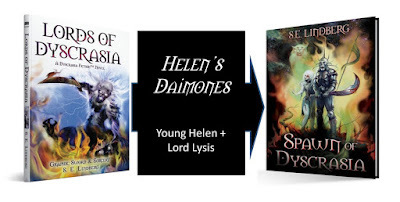 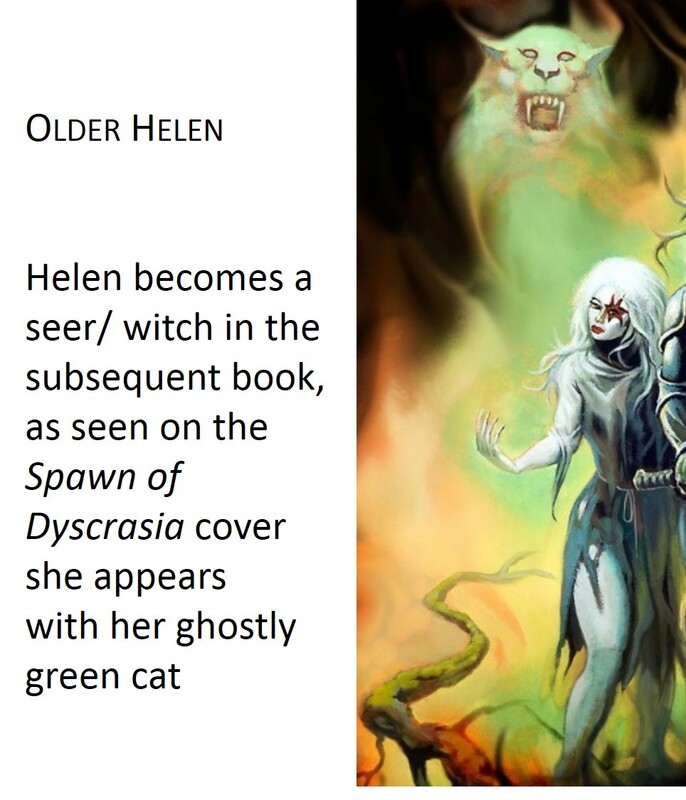 Whomever would illustrate Helen would have to come up with a similar young girl who could evolve into the white-haired witch beside Lysis in the Spawn of Dyscrasia cover. Lysis would have to bridge the look of the Lords and Spawn covers. 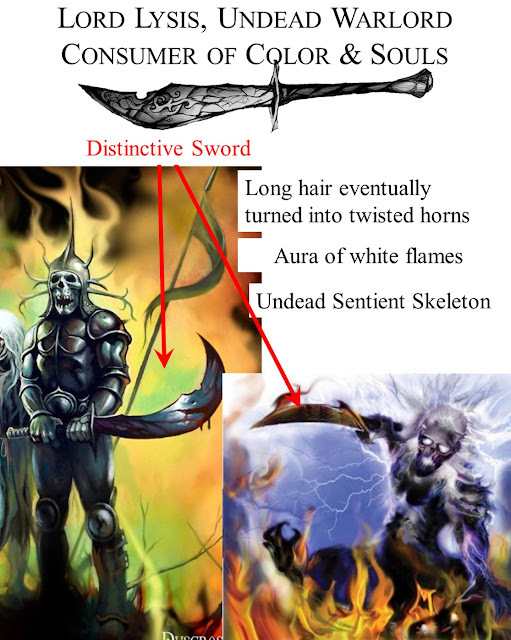 His magical sword Ferrus Eviscamir would have to be present, and ideally his armor would appear to be made from (a) giant insect hulls and (b) human leather. His hair would have to approximate horns.